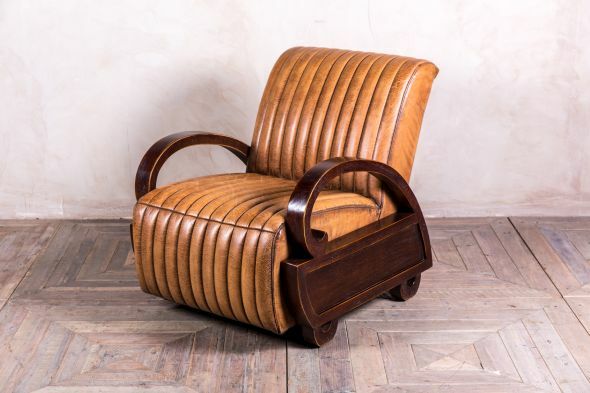 A beautiful adaptation of late 19th Century furniture, the new ‘Berkeley’ armchair has a strikingly grand appearance. With ornate and luxurious details, the piece truly honours the original period. 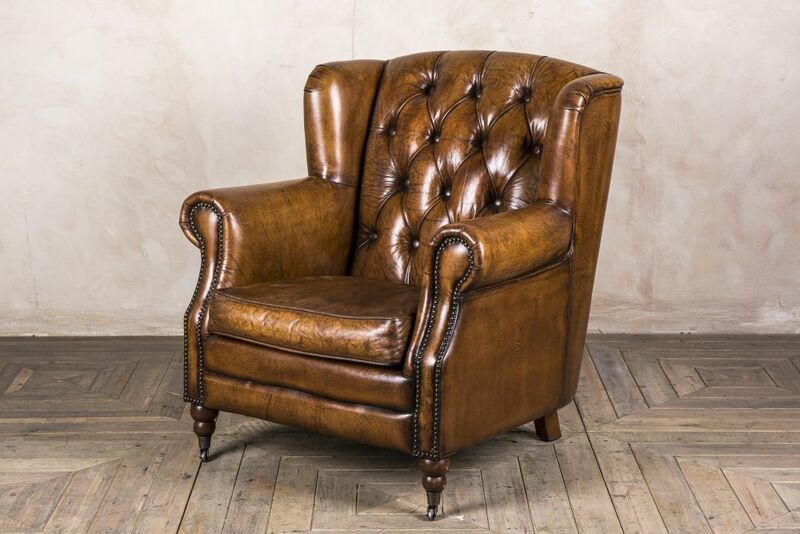 Sophisticated and refined, our new ‘Berkeley’ armchair is crafted with hand-finished leather and features elegant details: a button back, aged rustic style stud work and traditionally designed castors, which all add to its antique appearance and charm. 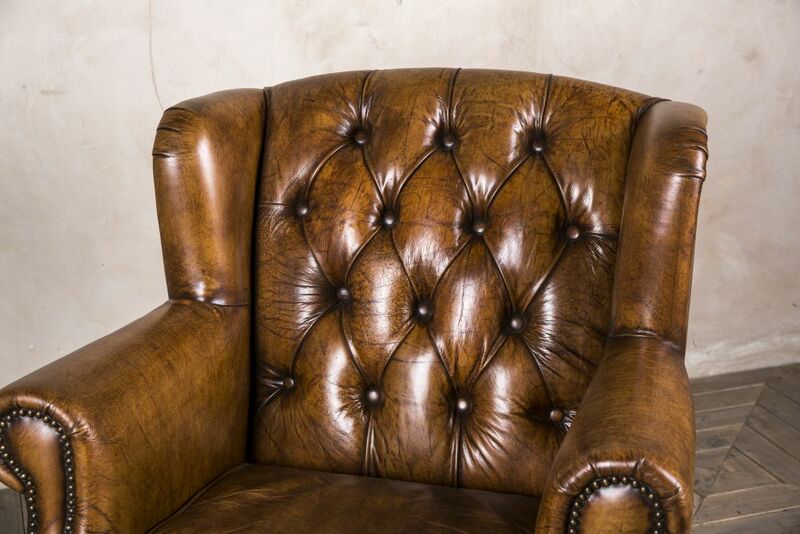 Brimming with versatility, the ‘Berkeley’ armchair truly is a statement piece and a prime example of classically designed furniture. 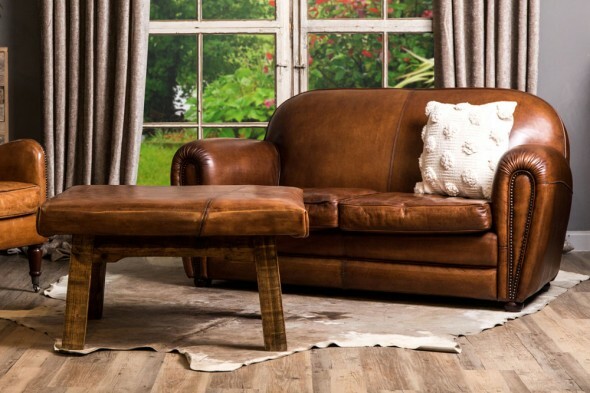 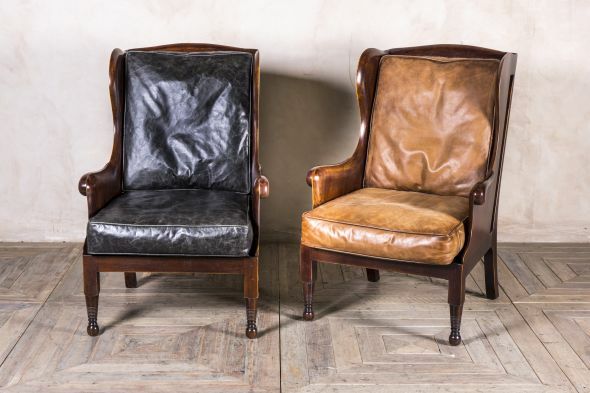 Our extensive range of leather armchairs are ideal for both domestic and commercial use; they add style, class and comfort to all settings. 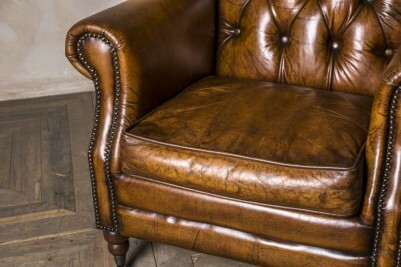 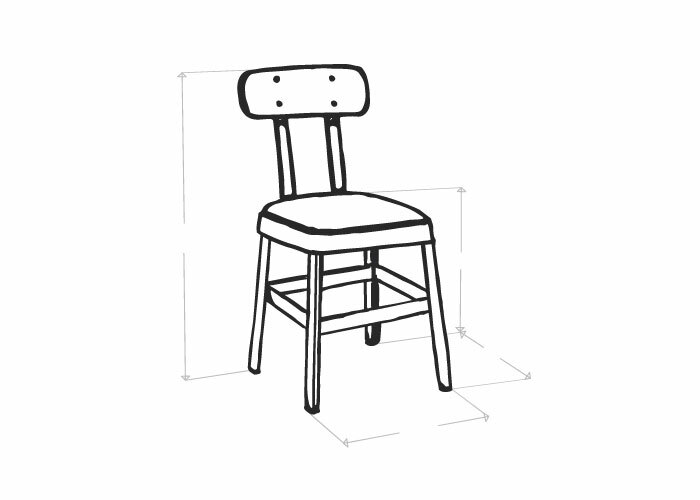 Please note that this listing is for one chair only; however, we do have more available.